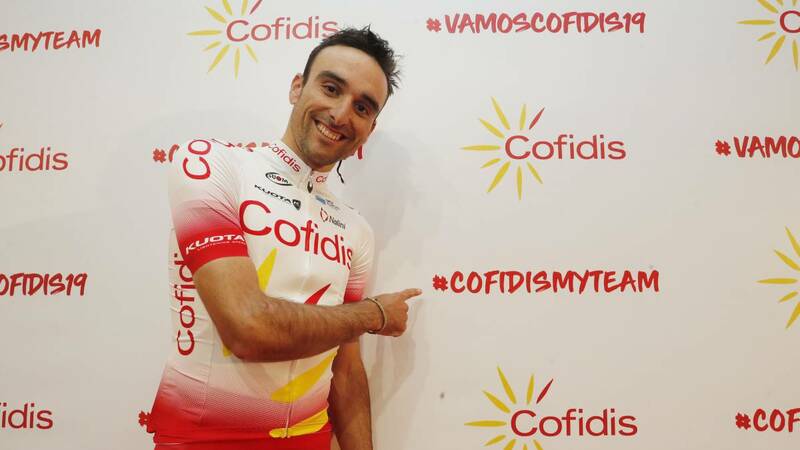 Home Cycling Maté: "De la Vuelta I'll keep that I ran as I like"
Maté: "De la Vuelta I'll keep that I ran as I like"
The Marbella Cofidis runner faces his ninth season in the French structure with a clear goal: to shine and earn a place for the Tour. Luis Ángel Maté is more than just another runner in the Cofidis team, where he is facing his ninth season. Despite this, "every year starts from scratch" and in the French structure the bar is high after the great season he signed last year, with 21 victories, which was reflected in a Vuelta where they were major players. "At the team level it was great, with the victory of Bouhanni, the leadership of Jesús Herrada ... In my case it was also good, with the presence in the leaks and many days as leader of the mountain", explains Maté, that a disease deprived him of fighting to be the best climber to Madrid: "I stay with the positive and the negative, learn", values. For the Andalusian cyclist, that Vuelta must be a mirror: "That attitude we owe put into practice from the beginning this year ". And he also applies it, although sometimes it is more difficult to highlight: "In the Vuelta I could run to attack, which is what I like, and I think that's why we're talking about that I stood out more, but I'm a professional and if They ask that you are pulling the peloton or doing other functions, I owe it to that. For me to earn a living in cycling, what I dreamed of since childhood, it is an absolute vital triumph and I can only thank this team for trusting in me ". A structure on the rise after the arrival of Cedric Vasseur to the post of manager:" It is clear that it has given him another air, perhaps also picking up fruits of the work of previous years, but it is clear that he is implanting an idea more modern and international and hopefully it will keep growing ". For now, Maté, who will debut in Mallorca, is hoping to return to the Tour in 2019 after not entering the team last year: "Every year you have to fight for a place, we are 28 runners and every year you have to show that you can contribute ".